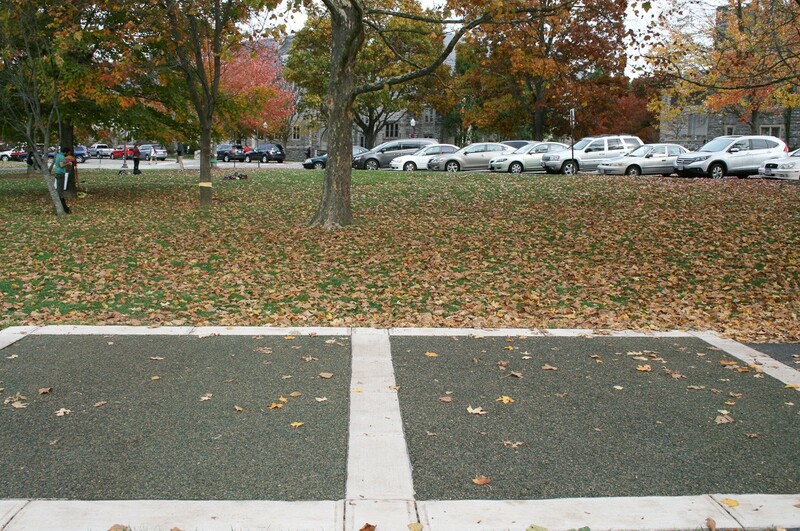 The new Rubberway EVOLUTION system was installed to replace sidewalk surrounding large trees on the Virginia Tech University campus. With an average of 35,000 students during the school year, this system was installed in a high use area. A case study utilizing Rubberway's Rubberrock 6000 pervious pavement system was performed in the facilities parking lot to determine deformation of static weight load and porosity rates for storm water management. The system has proved a viable option for light vehicular traffic and heavy weight loads over 50,000 lbs. A number of additional case studies were performed in which 250 SF of each Rubberway system were installed to evaluate them for the replacement of all campus pathways on the university campus in the future.